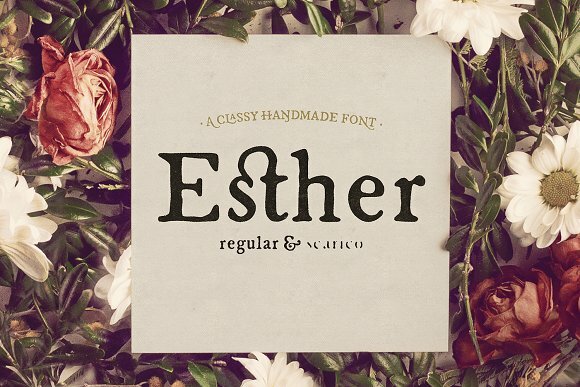 Esther is a handmade typeface with class. 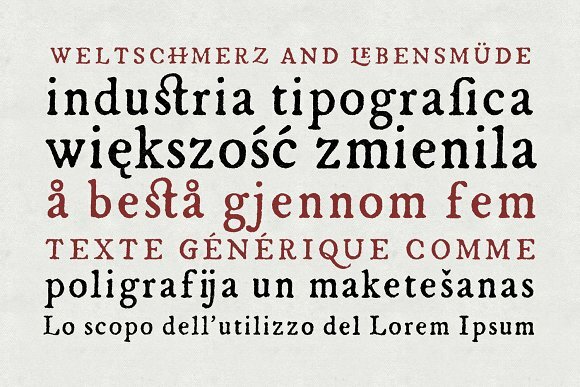 It is created by Valerio Dell’Edera from the Hederae Type Foundry. This stunning font is not constructed out of modules, it is completely drawn by hand and optimized digitally for the best legibility. 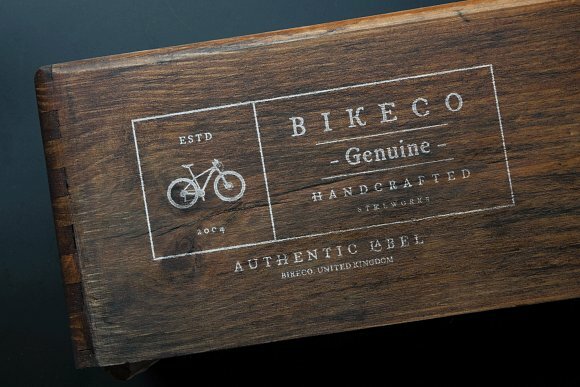 Esther is a idea font for many purposes such as menus, liquor bottle labels, food packaging, wedding invitations, greeting cards, tea boxes, food blogs, small shops, cupcake bakeries and so on. Esther Regular – The main font that features a set of upper & lowercase serif characters. 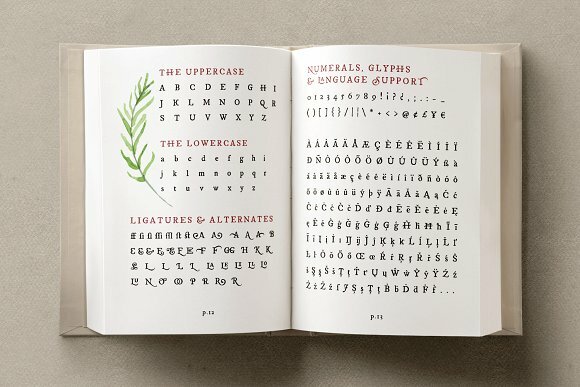 The regular version features a large range of punctuation glyphs, numerals & features multilingual support. 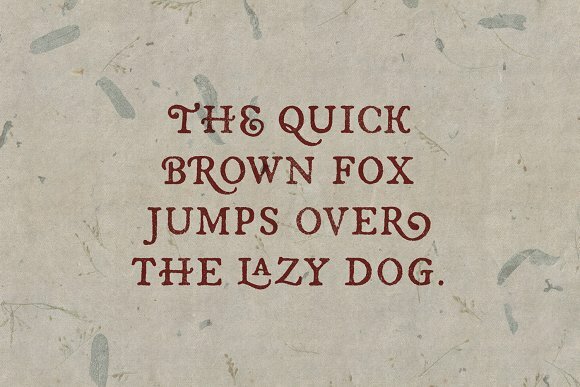 A full set of stylistic alternates for lowercase characters is also available. 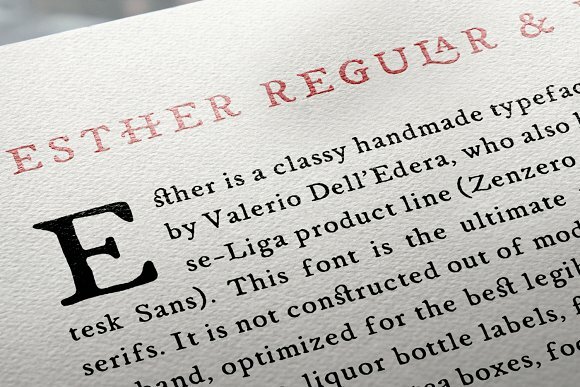 Esther Exhaust – It has all the features of Esther regular but comes as a dry ink version.